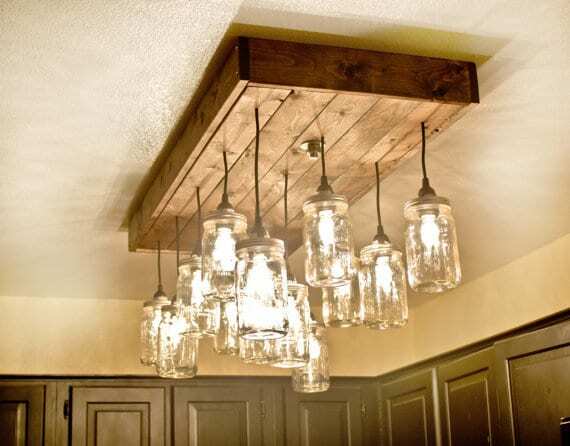 This is the perfect mason jar pendant lighting chandelier for your home. The Mason Jar Light is completely handmade with a wood pallet. The wood light fixture you are looking at was designed to go in a kitchen area so the length the jars were hung is adjusted to a height that would allow an individual to comfortably walk under. That being said to explain that they can adjust the lights to whatever height you would need them. The pallet wood was stained to gives a more rustic feeling, see how to stain pallet wood. If you want one for your kitchen they can do them high like this one. If you want them over a table or island they can make them hang at your desired level. The light fixture pictured is our 48″ x 17″ fixture with 14 lamp pendants in three rows. This is perfect for a larger space or where you need more lighting. They also have two other sizes available for immediate ordering. 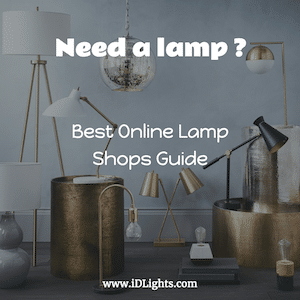 32″ x 17″ with 11 lamp pendants in three rows. Great in a smaller dining area or kitchen. 48″ x 8″ with 6 lamp pendants in TWO rows. This was designed to go over a bar or smaller island area. Each lamp has a clear glass jar with classic canning lids on a black cord that can be adjusted to your desired length. We have a lot of wood pallet lamps here, check in our search bar or this similar one!